As many of you might already have seen in the daily builds of Blender 2.8, we have been working on a new toolbar and widget system for Blender.... Blender Artists is an online creative forum that is dedicated to the growth and education of the 3D software Blender. At first I bet you think I just need you to tell me to move the 3D cursor around and then set > origin to 3D cursor. Press the left mouse button twice without moving the mouse. This puts the cut bang in the middle. This puts the cut bang in the middle. 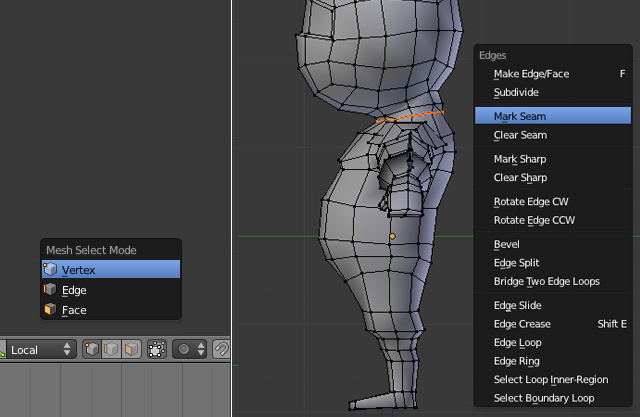 Repeat the above process with the inner faces.... After searching the web, I came upon this page which suggests to move the object to another layer, but since it applies to blender 2.49, it seems the software has changed since then: I'm unable to find the 'Layer' option when inserting a key-frame. After searching the web, I came upon this page which suggests to move the object to another layer, but since it applies to blender 2.49, it seems the software has changed since then: I'm unable to find the 'Layer' option when inserting a key-frame.... Select the sphere, move your mouse cursor to the big 3DWindow (the top view), and press GKEY to move it. Move it to the left and watch the camera view while so doing. The sphere should be outside the outer dotted line in the camera view. This dotted line denotes the area that will be rendered by Blender. What Is “Enhance Pointer Precision” in Windows? Press the left mouse button twice without moving the mouse. This puts the cut bang in the middle. This puts the cut bang in the middle. Repeat the above process with the inner faces. I have a 3D object sitting alone in a scene, and I need the ability to freely and precisely rotate the view around it by way of the mouse (and eventually, the iPad's touch screen). Blender encourages us to use keys instead of mouse clicks. You can do several edits before clicking your mouse to confirm. For example, when you select the face you want to extrude you just press "e" and move your mouse to extrude and then you can click "s" to scale (or "r" to rotate or "g" to move)and move your mouse and only after that click your mouse to confirm. Move the mouse from the rotation center outwards, then press LMB or ENTER or SPACE to assign the scaling. Use the MiddleMouse toggle to limit scaling to the X, Y or Z axis. Blender determines the appropriate axis based on the direction of the movement.